As part of a strategy to engage Dublin County Council to improve the experience and increase footfall and dwell time around Henry Street and the surrounding area, Dublin Town together with retailers and business owners, wanted to embark on a journey to create destination value for the area. The first part of the journey was to create an identity, which would resonate with local, national and international audiences alike, and enable the area to come together under the same banner providing a holistic experience that together was greater than the sum of its parts. 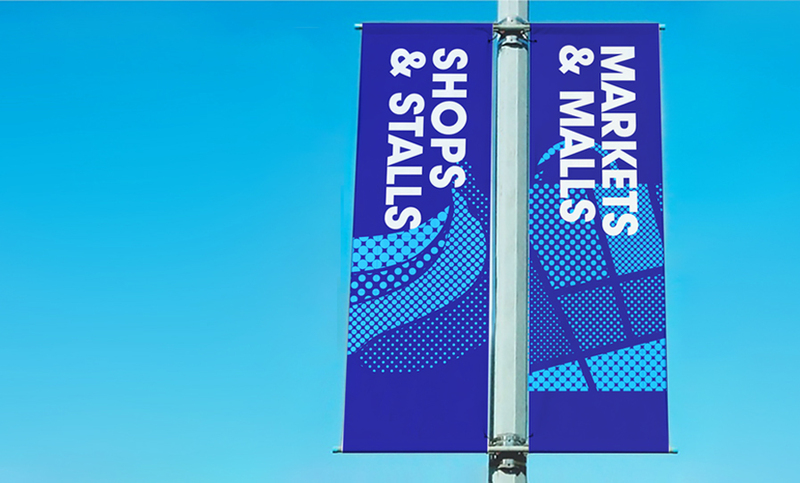 The area in question spans the streets of O’Connell Street to Capel Street and Parnell Street to the end of Liffey Street and the vision is to transform what is today one of the busiest shopping hubs in the country, and create a diverse area where people can live, work, shop, eat, stay, relax and be entertained. 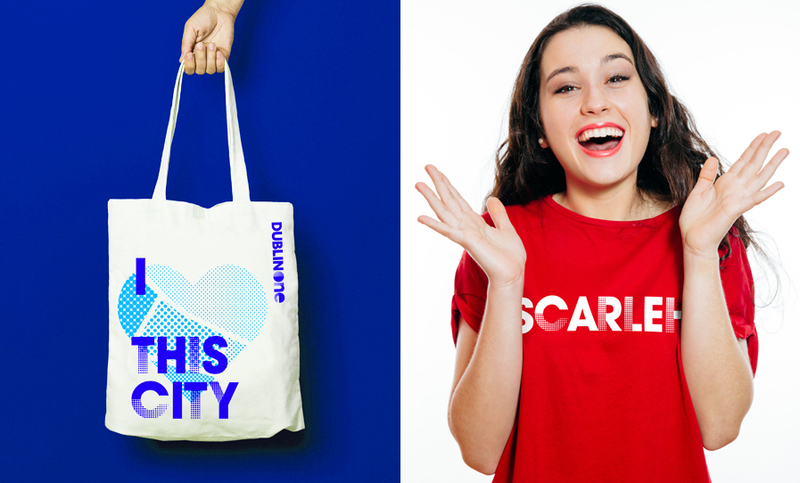 We started by developing the brand positioning – “heart and soul”, which celebrates not only the area’s physical location at the heart of the city, but also the individual characters that make up the area. Heart and soul speaks to the blend of old and new, of heritage and living culture and the authentic and diverse experience on offer, not found elsewhere in Dublin or in the sterile out of town shopping centres. A naming exploratory followed, in which over 100 names spanning the 8 different naming typologies were created. 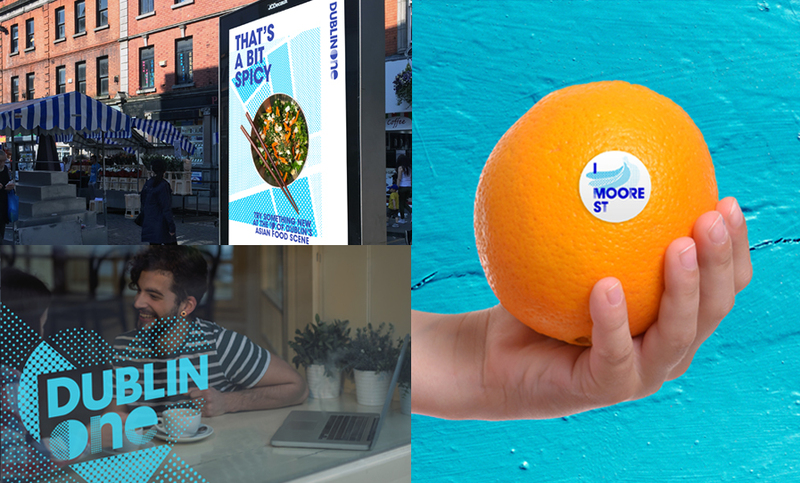 Dublin One proved to be a clear winner with the project team and research validated the name choice in supporting the positive vision and future potential for the area. The name Dublin One is both descriptive, anchoring it in a sense of place but it also has scope to be imbued with deeper meaning and capture the imagination of current and future visitors alike. 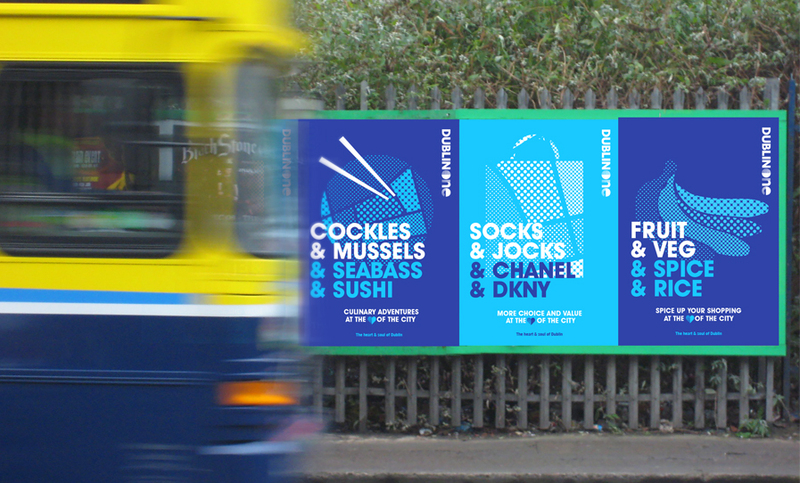 The Dublin One visual identity has been designed to represent the contrasting neighbourhoods and experiences that make this area such a unique space in Dublin city. 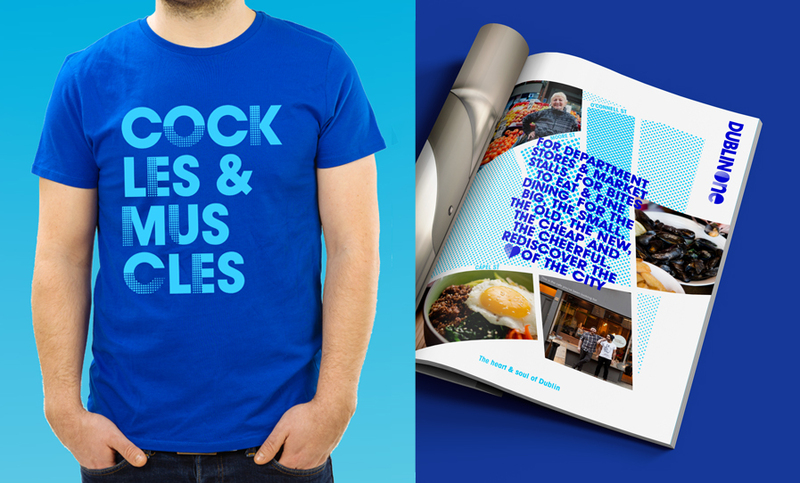 The brandmark combines typography that represents both tradition and modernity, with the Dublin blues providing inspiration for the primary colour palette. 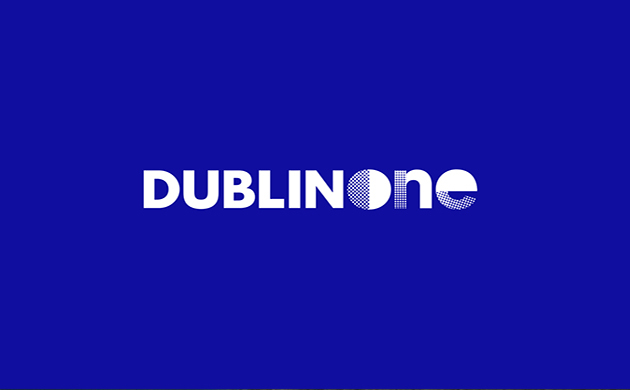 A pattern created from the shapes of Dublin One’s streets acts as the main brand graphic, which highlights the vibrant and dynamic neighbourhoods this brand covers and is used to call out the different experiences on offer, from food to retail, when extended into iconography. Another key aspect of this identity is the tone of voice. A distinct local tone is adopted in headlines to reinforce the authenticity of the area. To celebrate the launch, Dublin One has teamed up with photographer Peter Varga of Humans of Dublin to create an exhibition showcasing individuals from Dublin One, living, working and enjoying all that the area has to offer. The photography exhibition ‘Humans of Dublin One’ is free to the public and will be housed in the Jervis Shopping Centre from now until Christmas.